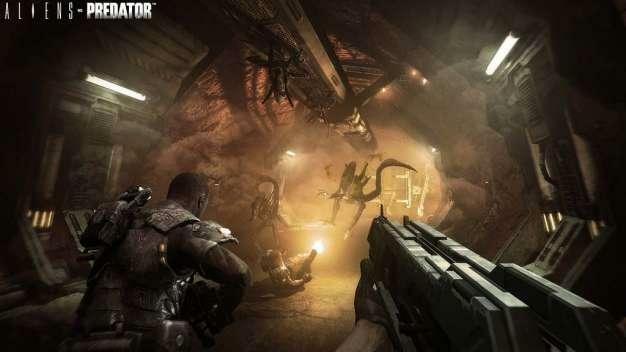 Ten years ago the first AvP received praise for its immersive visuals, and developer Rebellion says they want to repeat history; To that end, they’ve announced that the PC version of the company’s new Aliens vs Predator will be getting that extra layer of shine thanks to the inclusion of DirectX 11 hardware tessellation. Rebellion CTO Chris Kingsley says DX11 offers “opportunities never exploited before in 3D graphical terms,” opportunities Sega Europe’s Technical Director Chris Southall says they’re making full use of in order to “maximise the use of this new technology for Aliens vs. Predator.” The two are hoping the game, “one of SEGA’s biggest ever,” will be everything the fans want, and surely, a huge part of delivering on those promises is getting the atmosphere right. The game’s out for the 360, PS3 and PC next February.